Hi, it’s me again, the guy who does the Anime/Manga reviews. I killed Adi and replaced him. Just kidding he’s trapped in my basement. Just kidding again…. or am I? 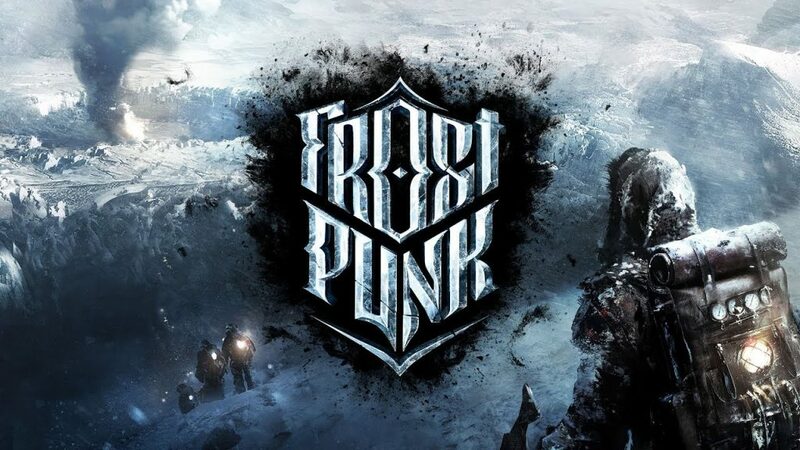 Anyway today I’ll be reviewing Frostpunk, a game released on the 24th of April 2018. Frostpunk is a Strategy, Simulation, City Builder and Real Time Strategy (RTS) game. It was developed by 11 Bit Studios and centers around playing through multiple scenarios in the world of Frostpunk. The developers are constantly adding new scenarios so one of the things I love is that there is never a lack of content. As always I would like to put a small disclaimer here. These are all my opinions and views on Frostpunk, I am in no way opposing any views anyone else may have about this game. With that out of the way, let’s begin. Frostpunk is by no means one of those easy strategy games that you play, beat easily, enjoy and get over with. This is one of the most challenging strategy games that I have ever played. From managing resources to struggling not to enact the Child Labour law because you’re running low on coal at night and you’re citizens are rioting about the -120 degrees Celsius temperature, I can safely say that playing Frostpunk was a unique experience that I have never had in any other strategy game. Another big positive for Frostpunk is the diverse way in which you can play the game, with three law trees to follow and unlock, which all change the way your people react to your decisions and impact the future of the game. I love the way research works and the game itself is very engaging, once you start it gives you the feeling that you have a responsibility to your people and your city to play for 5 hours straight to make sure that they survive. Or maybe that was just me. The resource management is crisp and challenging. It is balanced well with multiple ways to gather all the resources, allowing for a multitude of different play styles and strategies to beat the scenario. The resource management is the core of the game as it decides just how quickly your citizens are going to banish you forever. The only one issue I have with this game is the replay-ability of the game. The different scenarios don’t follow the exact same formula and all provide different experiences, however, the satisfaction of completing one scenario after toiling for tens of hours is just intoxicating. My issue comes after the scenarios. You have no incentive or want to go back and replay a scenario, even if you plan to go down a different tree for the law, I have had no incentive to want to go back and play the scenarios that I have already completed as the experience won’t be much different. The game also seems to be free of bugs, which is also a huge plus point, and the automatons are awesome. Taking everything into account, including the free DLC (the new scenarios) which we don’t see much these days (looking at you EA, Ubisoft, Nintendo), I have come to a calculated final score for Frostpunk with the only thing bringing it down is the replay-ability factor. I heavily recommend picking this game up, it’s bad at around $30, and definitely worth that much. If you can I would recommend picking up the Frostpunk and This War of Mine bundle off of Steam. (I got it for around $7 on sale).